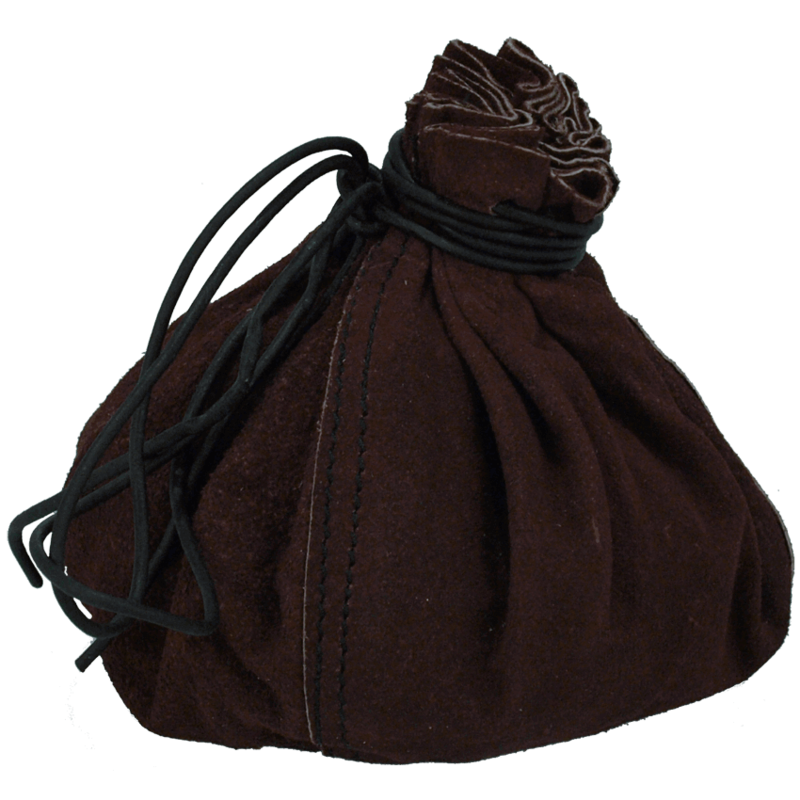 This simple suede pouch is large enough to hold all your essential 'modern' day items (like keys, money, credit cards, cell phones, etc.) that you need to bring to events and fairs, but would rather hide them to keep the Period atmosphere. 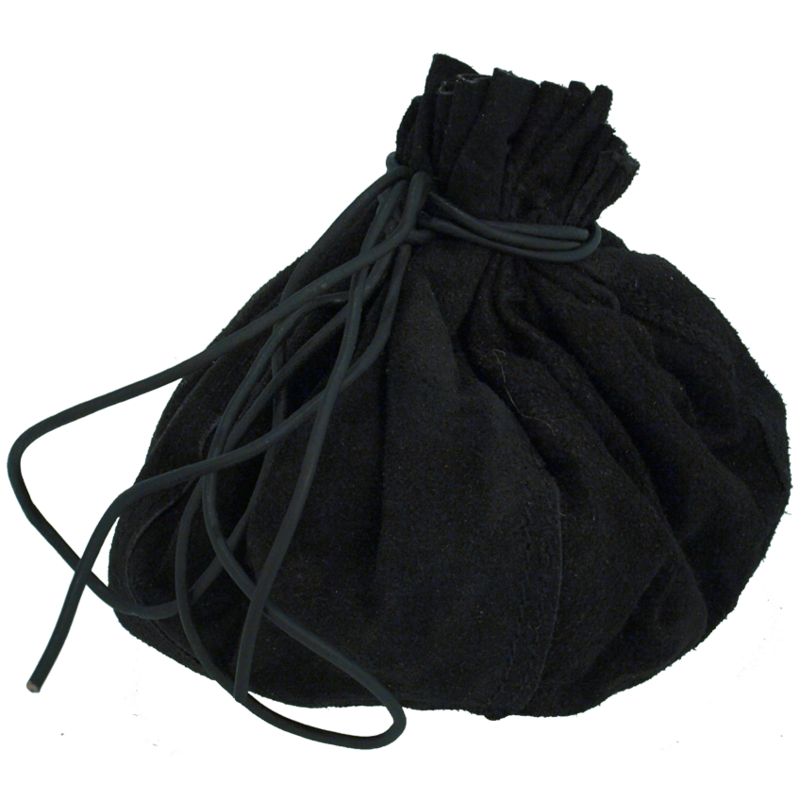 The pouch comes with long leather laces to tie the pouch closed and then can be used as a handle or tied on to your belt for carrying. When you're out and about at the fair, you'll want to take shelter from any rain so the coloring from the pouch doesn't rub off on any of your lighter colored clothing. Note that we only carry the black Round Leather Bags in stock. Weight: 4 oz. or .25 lb.